You are here: Virgin Islands News Online » News » Are inmates of HMP being let out @ nights? - no surveillance cameras @ prison? Further, it was being reported that two men, who were convicted for murder and other heinous crimes and are currently inmates at Her Majesty's Prison in Balsum Ghut, were seen late at nights at popular night spots. 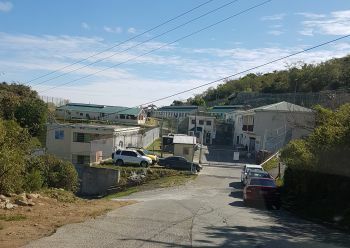 There are also allegations that one of the murders committed in the territory was done by an inmate of HMP who was allegedly let out for the night. This allegation has been so popular that when reporters came out of the swearing in ceremony of the new Governor Augustus J. U. Jaspert, they flocked the Superintendent of Prison, Mr David Foot, and pressed him on the issue. Mr Foot admitted to having heard the same allegation and said that it is part of an ongoing investigation; however, when pressed with many other related questions, he repeatedly said, "At the moment that is intelligence and...I cannot comment on intelligence." One reporter further questioned the security in and around the prisons and, according to Mr Foot, there is some progress in securing surveillance cameras for the correctional facility. A prison without surveillance cameras for many years was a shocking revelation for many. "Something is not right about that," a source commented to this news site. "You have prisoners trying to kill one another in there, man hanging themselves in there, prisoners stabbing and fighting prisoners in there, prisoners accusing prison officers of iĺl-treatment, and for years no one finds it important to plant cameras in there! There must be something strategic about that, something mighty wrong out leaders definitely asleep." 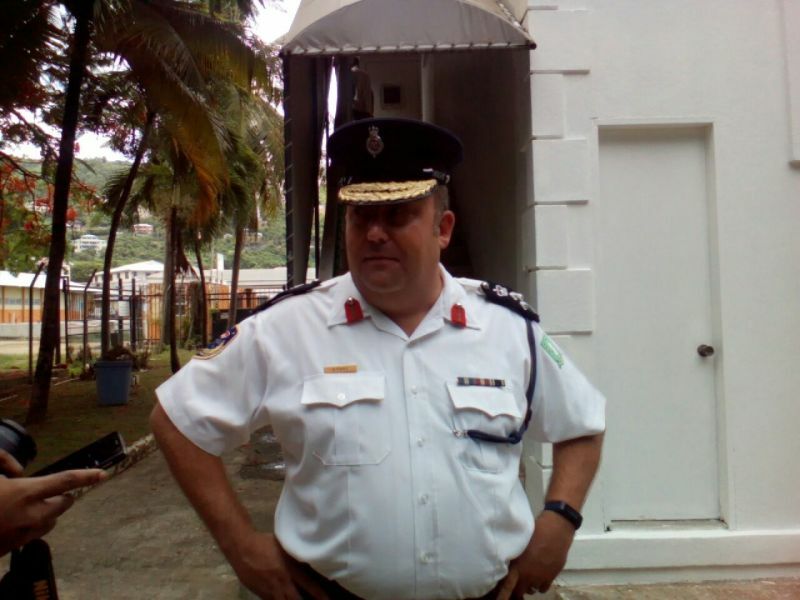 Recently, there have been a number of stabbings and other disturbances at Her Majesty’s Prison, with both inmates and prison guards receiving injuries. The Governor and the Minister for Education and Culture share the portfolio for HMP. Someone higher up is turning a blind eye. The whole staff in that prison need to be fired. Some of the inmates are going out at nights putting hits on people and robbing. Baldy busy building walls and adding additional year at school while there's chaos at the prison. Also, Why are prisoners allowed cell phones ???? It's about time this issue is brought to light. Select prisoners are let out at night, the usage of drugs and alcohol are allowed and inmates have access to cellular phone. According to the inmates, who are not afraid to post on facebook, permission was granted to have cellular phones. We all know this is a breach to security. The prison needs a thorough over haul. When the black men were running the facility, they were quick to get rid of them. Foot has not make any strides in improving the system. The prison is under the wrong ministry and should be moved immediately for proper monitoring purposes. I am in total agreement that the Institution of HMP is under the wrong Ministry. It had no right being there in the first place and with the focus of the Minister solely on Education, no real interest there for the prison. The lack of funding being directed to the institution and the lapse in adequate security measures and not to mention the benefits derived from the "turn a blind eye" of some officers all make for serious failures there. Time to sure-up this place and bring those who aid convicted prisoners to justice and ultimate exposure. Its funny we have a UK man running the prison but the Minister is getting the blame. Then you all wonder why they come here and have no respect for you? The Minister doesn't need nobody's money to go on vacation. Shut your mouth with your low down, conniving, deceitful, cutting-down your own self. Forgive them, they know not what they speak. THE WHITE MAN IS TO BE BLAMED. SAY IT LOUD, STOP BEING FRAID. Them bring white man to mind prison, the blame stops with him. He should control that. Leave the Minister out of that. Them wanted vacation in the BVI, well, then show us your onions, Mr. Foot. Right now, all we are seeing is chibble and thyme. Mr. Foot, your onions burning. Time to turn the prison upsided down. The bucks stops with you, Mr. Foot. What you got to say? It's a possibility they were look alike? roaming the streets. That said night a young man as gun down in Long look. Her Majesty Palace at Balsum Ghut need to be converted to Her Majesty Prison where bread and water is their daily meals, sleep on wet concrete and from sunrise to sunset those holiguns are on the roads maintaining government infrastructure and aiding the elderly with maintenance of their premises. We create the situation and then provide the prescription. Point blank.